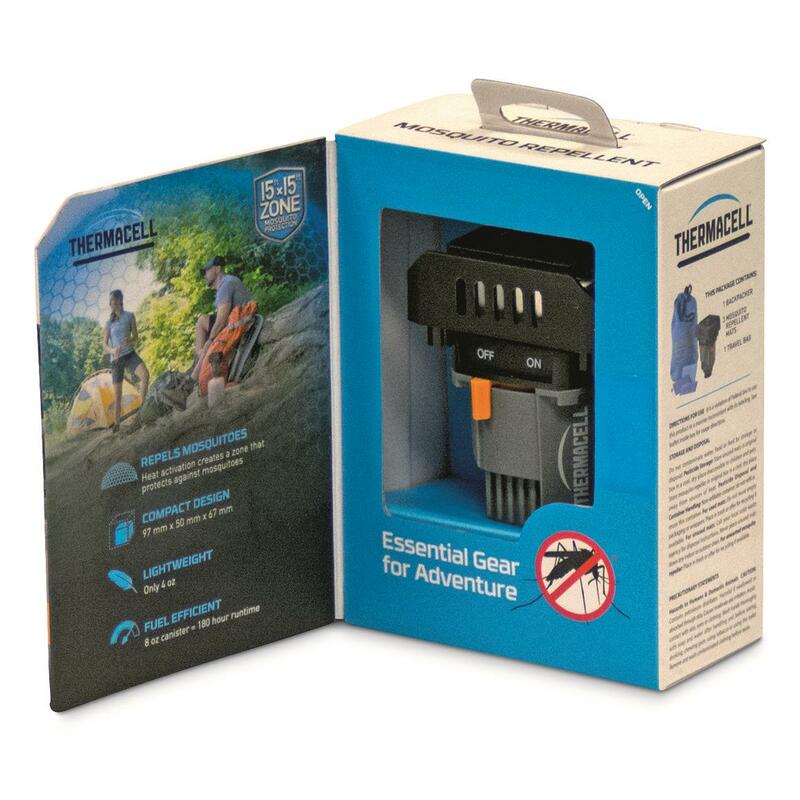 Tried and true Thermacell® protection in a more packable size. 2.63"l. x 1.97"w. x 3.82"h.
Now backpackers and backcountry enthusiasts can also get mosquito-free reprieve while on their remote, off-the-beaten path adventures. 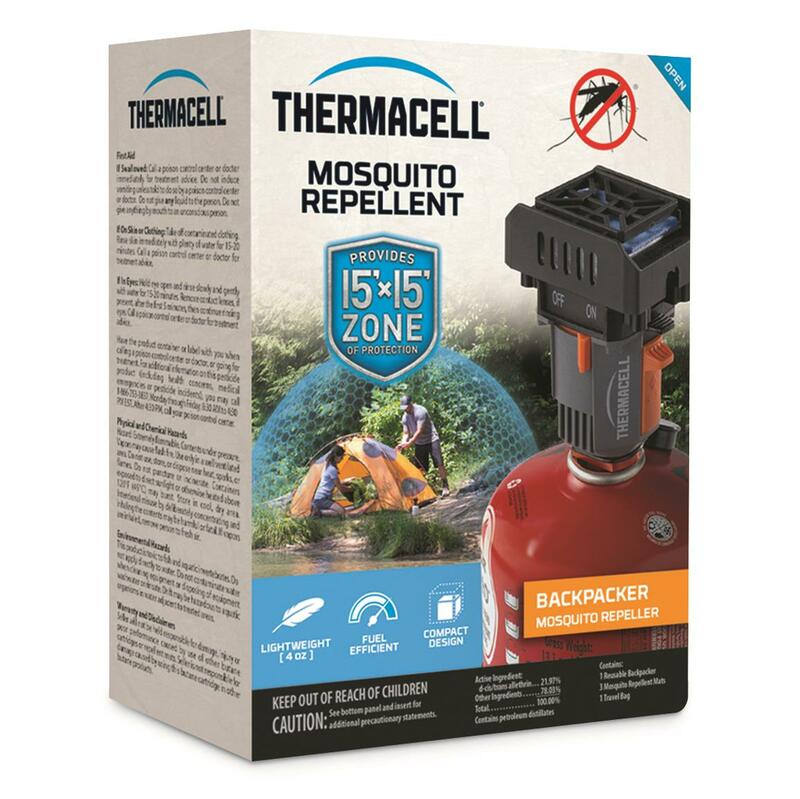 The compact, but powerful Thermacell® Backpacker Repeller is about the size of an ultralight backpacking stove, yet packs a wallop with its 15' x 15' mosquito protection zone. And it threads easily onto an isobutane canister, which you'll already have packed for cooking those backcountry meals. That means you'll shave off a few more ounces from its already lightweight 4.0 oz. So next outing, turn to this backpacker-friendly solution for a more enjoyable time outdoors. Dimensions: 2.63"l. x 1.97"w. x 3.82"h.
Thermacell Backpacker Mosquito Repeller is rated 4.2 out of 5 by 67. Rated 5 out of 5 by Thermacell For Life from Great Idea Thanks This is #2 Backpacker and can't count that high for other models. I bought #1 Backpacker last year for are BWCA fishing trip. The bugs are always bad. Last year we put the backpacker by the toilet with the extra pads in a water proof container. This was great all we had to do was change the pad and check to if it was still running. With one big fuel tank it never ran out and if we had to we could use the fuel for cooking. Not sure where we will put this one on the campsite. I have 4 months to think about it. Like I said for Thermacell this is not my first one and will not leave home without one them. hunting, fishing, camping, ballgames, friends cookouts and on and on. Rated 1 out of 5 by Kevin M from Worked once more don't light and... We're in buggy Mexico. No spark, no light. I'm not sure what can be done since we're on the road for 2 months. Rated 4 out of 5 by Wolverine224life from Really Good Company to deal with. **** 4 Stars. Trying to find a backpacker in my Rural Michigan are was not easy no one had one.Called up the toll free number on the site and the Rep. steered me and buddy to a local place via the zip code and sure enough their they where just waiting for us. Dam good online assistance from this company. Good people to talk to and help you out. Very Rare these days to find that in a company. Holidays are here and they are answering calls and emails on Thanksgiving !!! Who does that anymore.Thank you again for your assistance. Rated 5 out of 5 by BRomero from Backpacker works great for patio. I live in south Louisiana mosquito heaven. I have 3 hand held and 2 backpackers, 1 backpacker didn't work when I received it. I contacted Thermacell and they replaced it not problem. I would recommend anyone needing protection for there patio backpacker is great. I bought 2 more backpackers for family members. Rated 2 out of 5 by Glenn W from Did not work in the High Sierras I bought this last summer and it worked in my backyard so long as the wind was at a minimum. When I took it to the High Sierras (8000 feet and up) it really did not work. Combination of wind and difficulty starting it made it frustrating at best. I will continue to use it at home but I am afraid it will be DEET and mosquito netting on my backpacking trips. Rated 5 out of 5 by Tribeart from Great, long lasting repeller. I love this product because the fuel tanks seem to last forever. You can use this product for days with little effort to keep it working great. Rated 5 out of 5 by Eddie no bites from It works for me! I first saw the hand held unit actually worn by a fisherman (not supposed to wear it) and he praised it. I bought a few and have been pleased with their effectiveness. 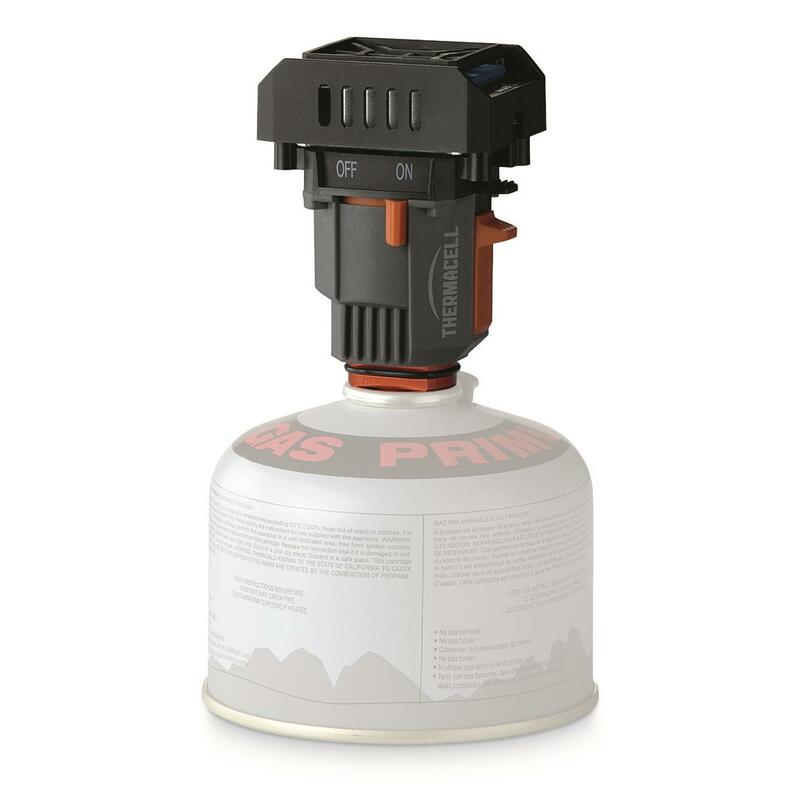 I also bought the camping unit that uses the butane/propane mix and have been very pleased at the reduction of mosquitoes. The idea is to get the fragrance in the air around you. It takes a little while to heat up and get things going but I vote it is worth it. Also note that one unit stopped igniting and the company repaired it for me.